The Chiba Sharks have seen it all. 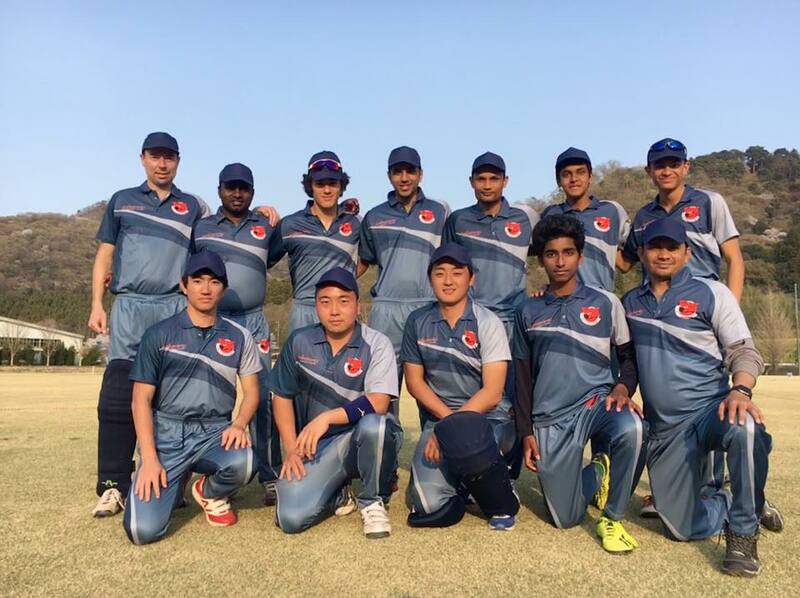 Since the inception of the Japan Cricket League, many things have changed, but our club has been a constant presence ready to embrace the changes. So, with the competition introducing white balls and thereby requiring teams to wear coloured clothing, the Sharks 1st XI — for the first time in a JCL match — took the field at SICG2 wearing their newly designed bluish-gray uniforms, facing up against JCL1 newcomers Falcons. We had two 1st XI debutants of our own, Rhinos batsman Ajay Thakur and MyYs offspinner Yugandhar “Yugi” Retharekar, while some players were making 1st XI comebacks and some were regulars from last season. Prior to the match, skipper Bedingfield warned that not all would go according to plan today. Perhaps he was only pre-emptively giving us excuses for losing the toss in true Sharks fashion. Well, new uniforms or not, I guess some things just never change. In perfect batting conditions (sunny and warm, temperatures hovering around 20 degrees Celsius) Falcons’ skipper Bisht sensibly chose to bat. Taking the field for the Sharks were: D Bedingfield (c), N Date, P Velusamy, A Ueda, T Takada, A Thakur, M Thurgate (wk), R Matsumura, M Siddique, Y Retharekar, M Kumar, with another MyY Deba ready to step in as 12th. The usual combination of Matsumura and Siddique started things off for us, with the new white ball refusing to swing as much as the red ones. Hence, they occasionally strayed on the pads but were a very difficult proposition to face when on target. Their unbroken 9-over bowling partnership brought reward in the form of two wickets, although the Falcons were scoring at a rate of about 5 an over during this period to leave things on an even keel for both sides. Change bowlers Date and Kumar kept it generally tight but seemed to serve up one bad ball an over which was duly put away, with No.4 batsman Bisht looking in good touch. With him at the helm, one could see why the Falcons were unbeaten in JCL2 last season. The pitch offered even bounce and was easy to play shots on if there was any error in line or length, so it was imperative to keep targeting the top of off stump and tying the batsmen down. Takada and Velusamy were not as successful doing this as they would have wanted to be, but debutant Yugi Retharekar shook off any nerves to keep the batsmen on their toes at all times. With subtle changes in trajectory and length, he broke the fourth wicket partnership that was beginning to spell ominous signs for us, helped by a quick stumping from ‘keeper Marcus. 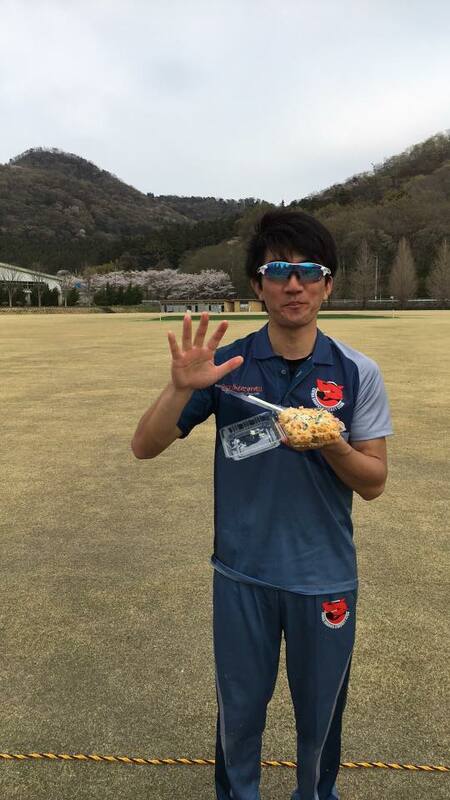 Yugi’s performance was deserving of even more than his eventual figures (4 overs 1-17). Bisht, however, continued to dominate our bowlers, who seemed to be a little rusty after the offseason. Dropped catches, some tough and some not so tough, also hurt us. His prized wicket was eventually taken by Kumar, who came back well to dismiss him after being struck for three sixes (Bisht 73 off 46, c Thakur b Kumar). His wicket put the brakes on the run rate, and allowed us to make further inroads with the flat offspin of Bedingfield and the medium pace of Thakur getting us one wicket each. The star of the show, however, was Matsumura, cleaning up the tail in style to finish with his first JCL five-for. Siddique’s contribution also must not be ignored. He was very economical, even bowling three maidens on the trot at one stage. Unlucky to finish wicketless. Falcons finished all out on 219, which was slightly below what they looked on course for at 25 overs but was nevertheless a competitive total. In one word, our bowling and fielding was unsatisfactory but as shown by the scores in the first round across all matches, these SICG wickets were not easy to bowl on. Opening the batting were Dhugal and Neel Date, the latter doing so for the first time at this level, whereas the former is an experienced campaigner with a proven track record. How would this new pair fare while chasing 5.5 runs an over? The art of chasing down big scores is not yet an area this 1st XI is well-versed at, so the skipper outlined three major aspects we would need to do well. These were to defend the good balls, put the bad balls away, and take advantage of the opposition’s somewhat mediocre fielding by running well between the wickets. Pretty obvious, right? I guess nothing could go wrong from here, and a win would be certain if we just followed these three simple adages of batting? In case you’re waiting for me to contradict myself, keep waiting. Except this time no contradiction is necessary. The openers stuck to their task with calmness and aplomb, playing slowly at first, then steadily, then comfortably. Neel accumulated singles by playing the ball into gaps, while Dhugal pounced on anything short or wide and made full use of the short boundaries. The pair were still at the crease at the first drinks interval with the score sitting pretty at 81-0 (15 overs). They continued to look at ease until Date missed a ball trying to sweep and got bowled for 28. The opening partnership was worth 106, with 114 runs still to get from about 22 overs. This brought Pavethy Velusamy to the crease, playing his last match for the Sharks in the foreseeable future. He took virtually no time to settle and allied with his partner to lift the scoring rate, with both batsmen using their feet to great effect against their spinners. The skipper marched past 50 towards triple figures, while Pavethy neared a half-century of his own. After 25 overs or so, with the scoring rate at almost a run a ball, it became apparent the match was effectively reduced to a race between the team score and the two batsmen’s personal milestones. Bedingfield reached his 100 in the 30th over, bringing up his fourth successive 75+ score (and third ton) in opening round matches in the last four years. As I said earlier, some things just never change. Another match, another hundred from the skipper. At the second drinks break, the batsmen were informed that if they were able to knock off the remaining 33 runs for victory in 2 overs or less, we would collect a bonus point. With nine wickets in the shed, we simply had to go for it. Dhugal teed off first, taking 22 off the 31st over leaving 11 more to get off one over for the bonus point, while Pavethy who was on strike required 10 to reach his 50. Two consecutive boundaries followed by a wide, and then another boundary sealed the bonus point for the Sharks, and Pave also got his well-deserved half ton as the icing on the cake. Dhugal ended up with 124(101) and Pave with 52(42). In the end, it was a comfortable win and a good start to the season but there are still a few cracks to fill to be able to perform at the standard to which we hold ourselves. A massive thank you to Pavethy for his services to the Sharks for the last six years and we all wish him all the best. Hope to see you in Sharks colours again soon, Pave! 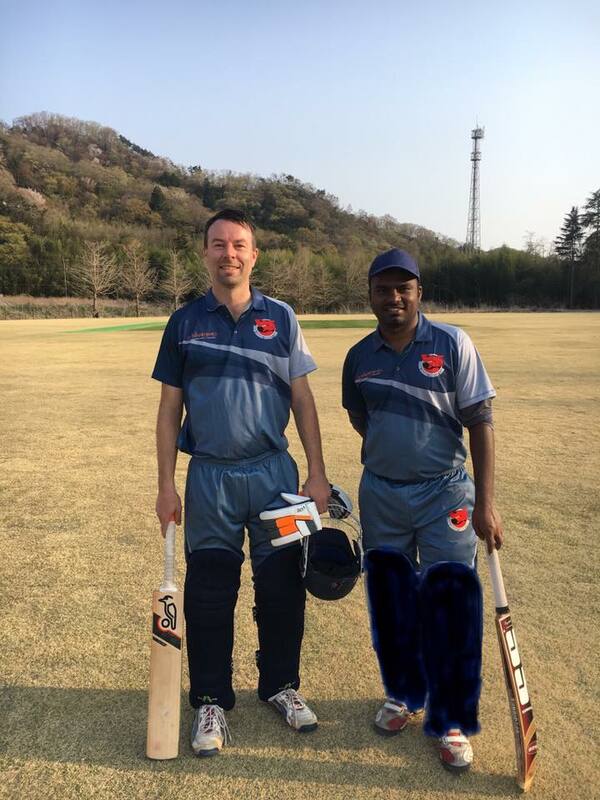 Gratitude also goes out to the umpires Amigo Kobayashi and Inagawa from MAX CC for a well-adjudicated game of cricket. Lastly, thanks to Deba for being able to make it as 12th man.